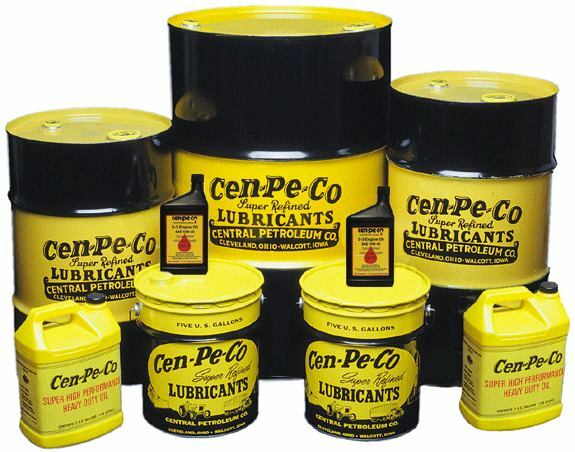 CEN-PE-CO PREVENTATIVE MAINTANENCE PRODUCTS have been protecting heavy-duty equipment since 1911 - oils, greases, fuel additives etc. In recent years, Cen-Pe-Co Super Racing Oil has quickly become the Lubricant of choice in the world of Truck and Tractor Pulling. DIESEL FUEL ADDITIVEs - we have lubricating fuel additives that enhance the performance of the Ultra-Low Sulfur Diesel and Low Sulfur diesel fuels and protects the pumps and injectors. Everyone will be eligible for the Cenpeco money at the select events if you can meet the requirements listed below. There will be no minimum number of vehicles in the class as it was last season. We are offering 7 events this season to pick up the extra Cenpeco money. We will pay $100 extra to the winner and $50 to second place at all Cenpeco All-Star Events if you meet the following requirements. Must purchase a minimum of $500 of Cenpeco Racing Oil or other Cenpeco products through Dragon Motorsports by April 22, 2017. Cenpeco is a great product that is used by a lot of top pullers throughout the country. It is an outstanding product for Farming and Construction equipment also.We have a good supply of all popular Racing Oils, 15 w-40 Diesel Oil, Gear Oil, Greases, and Fuel Additives. Give us a call for more info or if you are interested in signing up for the program.Buying oil through us also makes you eligible for any of the NTPA events that pay the Cenpeco money.